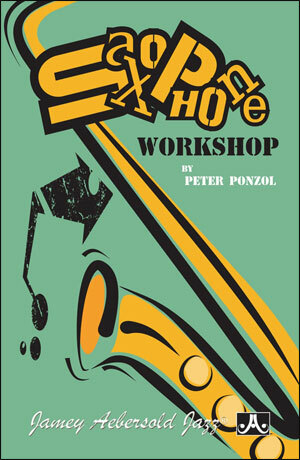 Imagine someone who has worked as an international saxophonist, an educator, a technician, a consultant, and as a designer, and you can imagine Peter Ponzol. 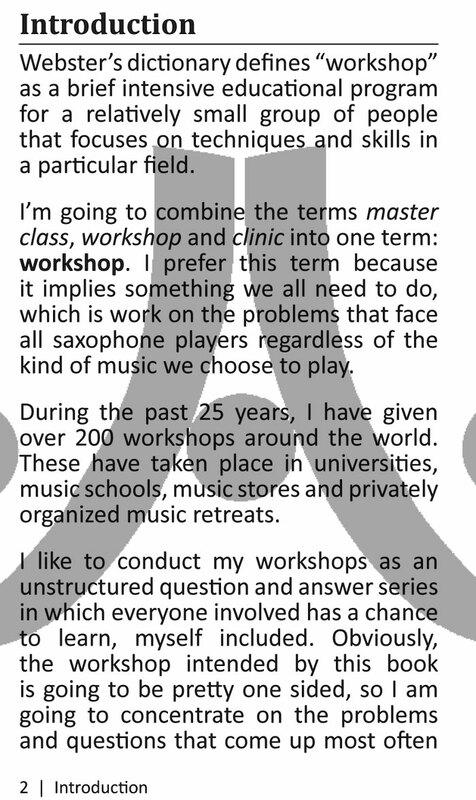 For the first time, Peter offers details from his famous "Saxophone Workshops." 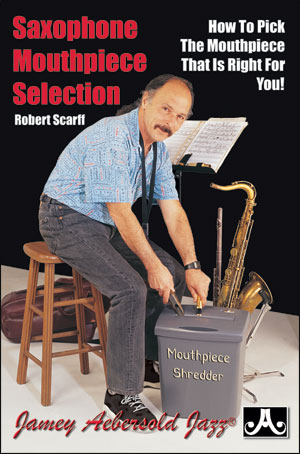 This exciting and informational "pocket book" will be a much needed addition to your musical library! Convenient pocket-sized book - 3.5" x 5.5" - perfect to toss in your gig bag! 64 pages. 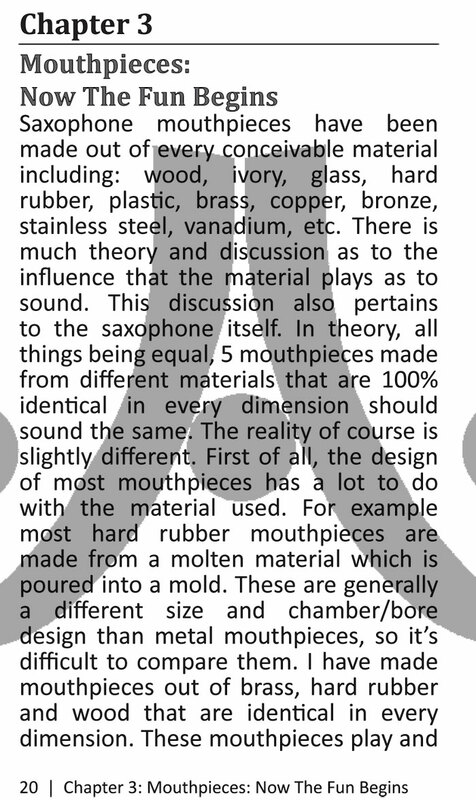 "Peter has been around saxophones for decades, doing it all from manufacturing horns to reeds to mouthpieces. As well, he is a seasoned player. 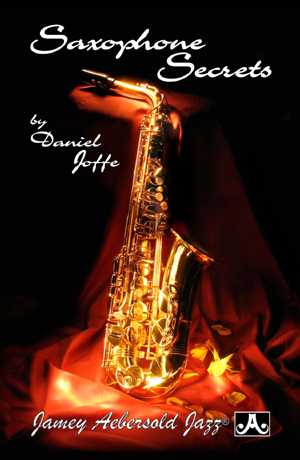 What he discusses in this book is coming from one of the sources-read carefully!" 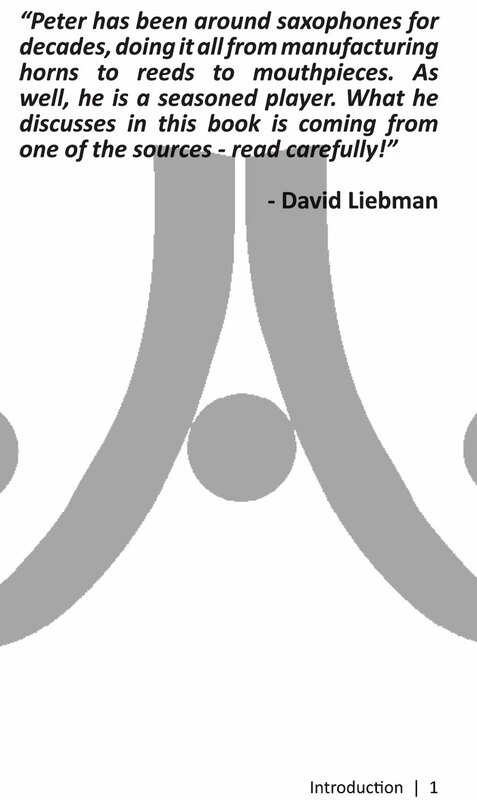 - David Liebman, Sax artist/ author/ clinician. 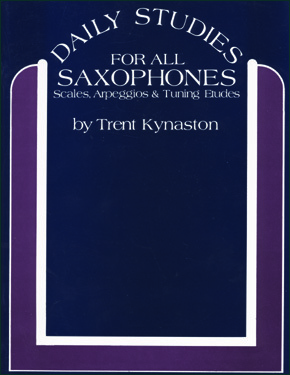 "The information in this book is right up SOTW’s alley, with answers regarding reeds, necks, mouthpieces, saxes, maintenance, and the like. 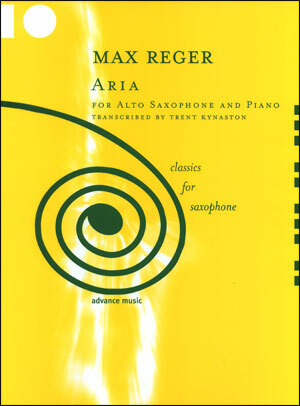 I would assume that the number of redundant threads started could be reduced almost in half simply with a reading of this book and those owning it could refer back to it at their leisure, as needed. And there is enough info in this book which contradicts some of our SOTW urban legends to make an episode of MythBusters. If you catch the right posts at the right time, much of the info in this book is already posted here on SOTW. But you have to see it and if hunting for it, you have to find it. OTOH it’s all conveniently gathered and organized here in this primer - plus more. 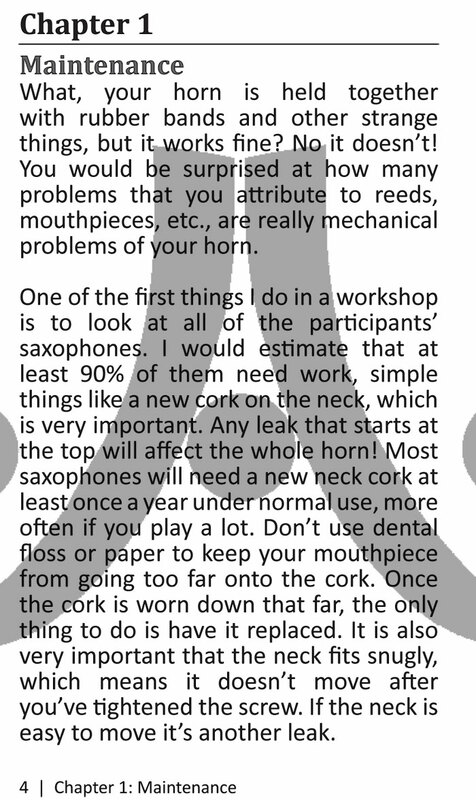 There are suggestions such as replacing the neck cork once or twice a year, which I would, if posting a response, say is not necessary. But here’s the difference. Many of us on the forum are experienced musicians but few have the experience and depth that Ponzol has. We can write with credibility - Ponzol writes with authority. 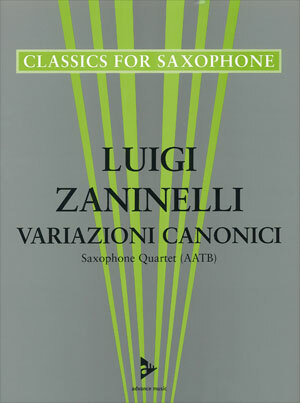 And this is based on decades not only as a top-echelon player, but as a successful and innovative sax, neck and mpc designer. 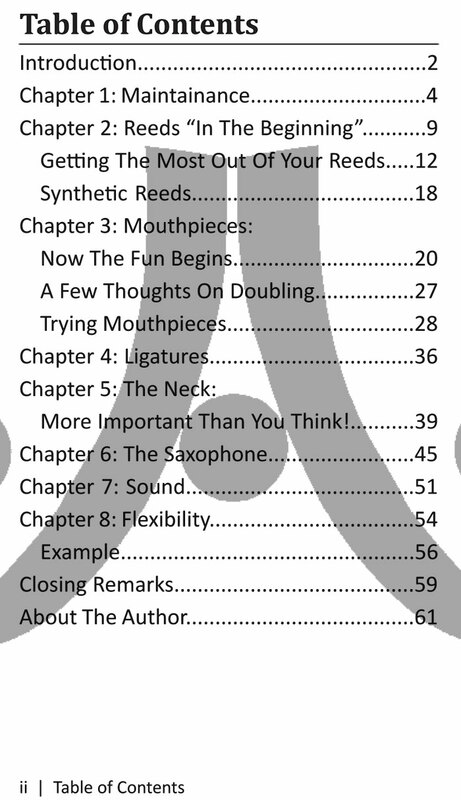 The book is a 61 page pocket reference booklet which, in addition to topics mentioned above, include thoughts on ligatures, sound and flexibility. It is based on items of interest asked by attendees at workshops he has given over the years, hence the title. He begins by pointing out that at these workshops one of the first things he does is look at the condition of attendees' equipment with the observation that at least 90% of them need some kind of work and adjustments. 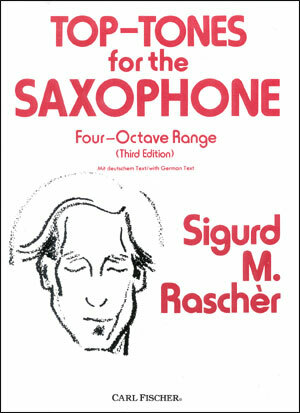 What follows in the book’s 61 pages are recommendations generated by this observation. 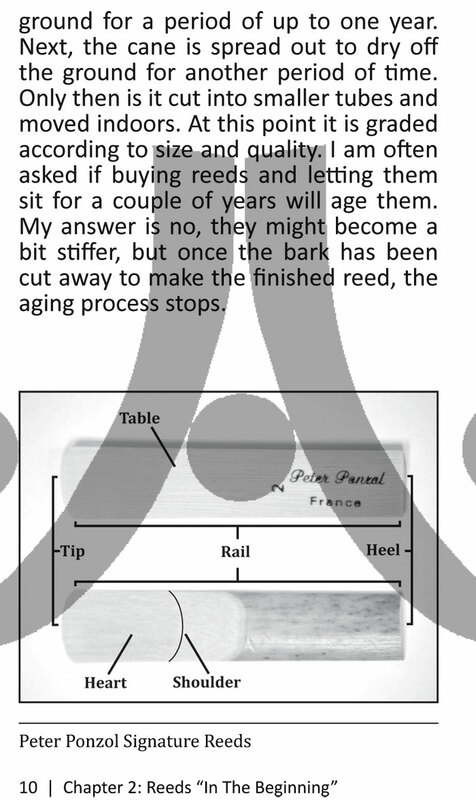 Included are interesting comments such as: aging store-bought reeds by letting them sit for several years is fairly useless since the aging process stops once the bark has been cut away from the reed; not earth-shattering but interesting and certainly myth debunking. Again something that fits right in with many of the conversations on this forum. 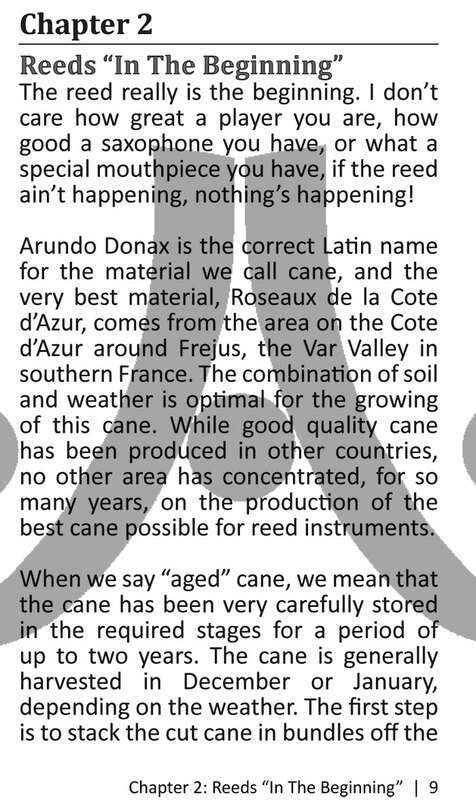 Interesting thoughts follow regarding the future of natural cane reeds, or how to select and get the most from your reeds - things I wouldn’t think of like sanding the heel of your reed. 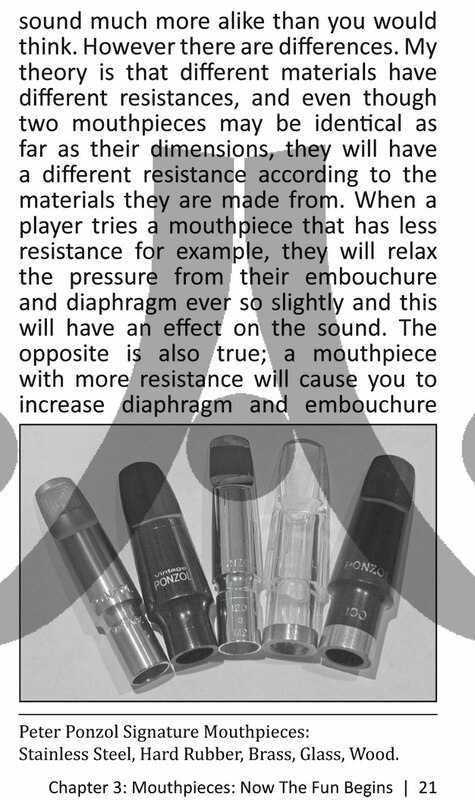 SOTWers might also get a kick out of, and relate to, the title of his section on mouthpieces, “Now the Fun Begins”. 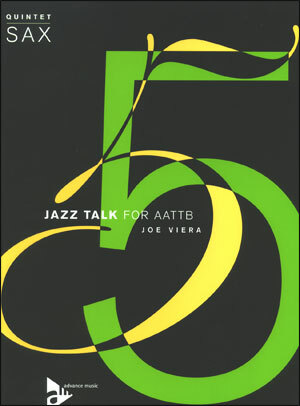 There are also interesting side comments we don’t often hear like: in the 70s so many young players like Ponzol were trying to get Trane’s recorded sound by working on metal Links because that’s what they saw in photos and yet, Trane often recorded with hard rubber mpcs because, in Trane's opinion, it didn’t have as much spit in the sound for him. It’s interesting how some things come around back to you. 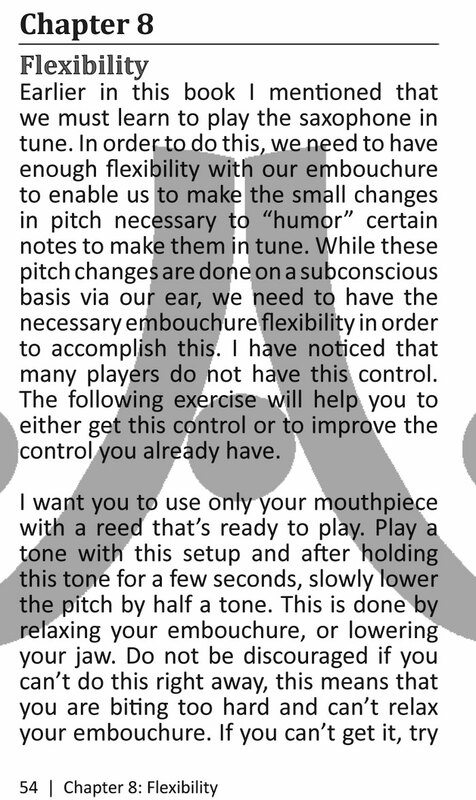 There are two exercises I recommend to my students and have recommended on the forum regarding volume and embouchure control and flexibility. I’ve never heard anyone else recommend these exercises and yet here they are in Peter’s book. Then it hit me. The only other one I know who uses them is a former teacher of mine and I remembered that years ago he said he had had some lessons with Ponzol. So “the circle is unbroken” LOL. 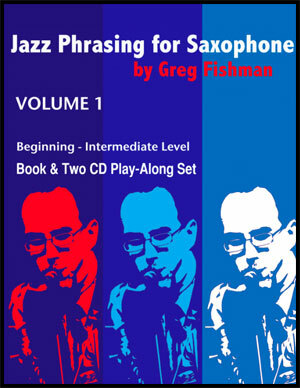 I would highly recommend it for beginners and intermediates, as well as for more advanced players to recommend to their students. 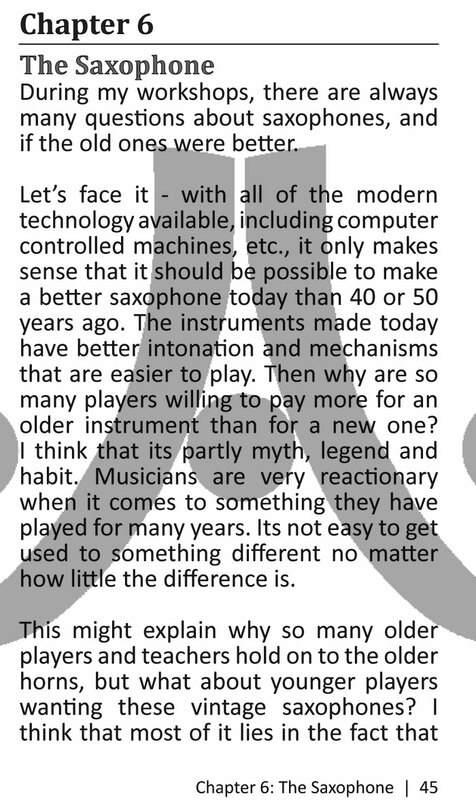 It has made me re-think even some of my most basic assumptions regarding equipment and maintenance, which has made the read well worth it. 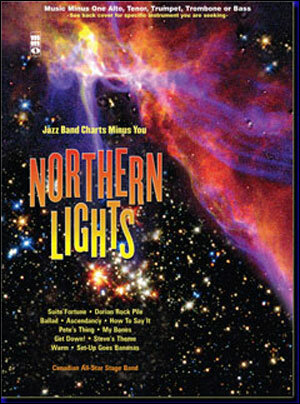 I wish every SOTW newbie would start out their Forum time with this booklet at their disposal."